BAGHDAD — The top U.S.-led coalition commander is congratulating Iraq on defeating the Islamic State group. In a statement released by the coalition Sunday, U.S. Lt. Gen. Paul E. Funk II pledged that coalition forces would continue to support Iraq. 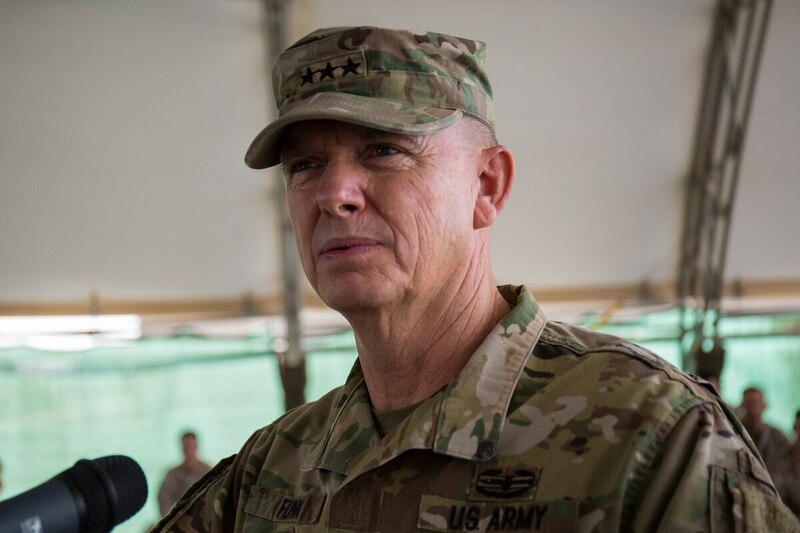 Funk says “much work remains, and we will continue to work by, with and through our Iraqi partners to ensure the enduring defeat of Daesh and prevent its ability to threaten civilization, regionally and globally.” Daesh is an Arabic acronym for ISIS. Iraqi Prime Minister Haider al-Abadi declared victory in the more than three year fight against ISIS in a national address aired on Iraqi state television Saturday evening. Iraqi forces retook the last ISIS strongholds in Iraq’s western deserts earlier Saturday and secured the country’s border with Syria.